Low cost battery, exact fit and really spins the starter over. Had same type before. That one lasted 3 years and I'm certain it would have carried on had I not let it go flat standing idle for a year. Unbelievably fast delivery. Ordered on line late afternoon and it arrived very well packaged next day. Isle of Wight address too. Great product fits good good communication great price very pleasant to deal with.I would definitely use this seller again. Very reasonable price with free next day delivery. 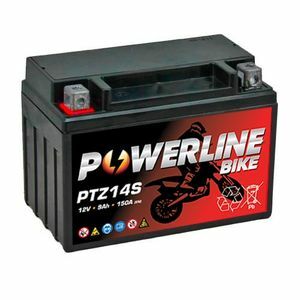 Great battery, service and fast delivery. A happy returning customer. Good battery, arrived on time, reasonably very good on price, only time will tell how it performs.. on the whole thumbs up ! Good price, good quality battery and fast delivery..... what more can I say. Lasted me since 2012 regularly cranking over a Benelli 1130 tnt so, when it stated getting slow I retired it gracefully and got another battery from a Company I trust. Very quick delivery at an excellent price. Came charged and hasn't missed a beat. Well chuffed with this purchase, would happily buy again. Great value, great service and a speedy delivery so I was mobile again as soon as possible. Will use again and will definitely recommend. Well it looks like a battery, it works like a battery, IT IS A BATTERY. Sorry, but I can’t get too excited about a battery. Works well, delivered quickly and a reasonable price.